Arkansas is another state of America with one of the friendliest knife laws. Now the most updated laws from 2013, Arkansas in fact, has no knives illegal to carry or own as Arizona and Alaska. Most of the sites’ information may still confuse you by saying that, Arkansas’ restrictions over knives are only on the size of the blades. If it is over 3.5 inches, that knife would be illegal for you to carry. But this was the law from 2011. In 2013, Arkansas has got one of the friendliest knife laws than ever. Where there are no restrictions, not even on blade sizes. The change in the laws was created considering on Arkansas’ large number of fishermen and hunters who use knives longer than 3.5 inches. 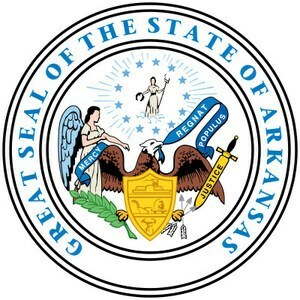 What was the Arkansas old law? The law from 2011 with the civil code 5-73-121 was,5-73-121. “(a) A person who carries a knife as a weapon, except when upon a journey or upon his own premises, shall be punished as provided by section 5-73-121(b). Till 2013’s new law, it was illegal as well as considered as a weapon if carried a knife longer than 3.5 inches. What does the new Arkansas law say? This statement means that the usage of the knives would be offensive when you treat those as a weapon against a person. (3) “(A) ‘Knife’ means any bladed hand instrument that is capable of inflicting serious physical injury or death by cutting or stabbing. Overall, the new law means, no knives are illegal or offensive unless you attempt for any crime. If anyone is hurt or injured by the usage of your any sort of knives (cutting or stabbing) or even dies, that would be illegal and you are going to get punished for sure. Otherwise, you can carry any kind of knives you want with any blade size. But your purpose of using these knives should be legal. According to Arkansas law, it is illegal for a minor under the age of 18 to carry a knife (except pocket knives that fits in a pocket). The state code 5-73-109 mentioned, “Furnishing a deadly weapon to a minor…” It will be legal if the minor has his/her permit to own or carry a knife from their guardian/parents. After 18 years old, anyone can carry or conceal or own any knives they want. When it is about concealing, you need to be more careful because you would carry a larger knife for nothing. There must be a reason behind it. So, whenever the police officer stops you to check, you should make them informed about the knife you are carrying concealed. Anyone can be confused whether you are carrying the knife for some good reason or for your own purposes or to stab someone or attempt any crime. Thus it is a matter of confusion when you carry or conceal a large knife. Even after the law has changed, there are some places in Arkansas where people still do not allow carrying knives over 3.5 inches blade sized. Fort Smith and Eureka Springs are such localities where people prefer using knives within this blade length limit. This is absolutely a NO to carry a knife in the school campuses or grounds or buildings. As other states’ laws, Arkansas also has this restriction. The knife laws in Arkansas are as friendly as the previous states. There are no problems at all when your purpose of using the knives is legal. You are in trouble only then, when you are going to attempt any crime with your knives. 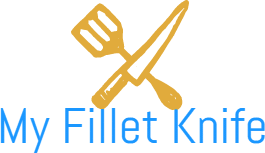 The blade sizes are not a matter of fact from the last update of the laws and this change has been done considering a large number of fishermen and hunters. So, the knife laws in Arkansas have also taken the place of being the friendliest state for laws in America.